Have you ever heard of garlic scapes? I hadn’t either until I discovered them in a local produce delivery I received from a friend. I love trying new things, so I immediately knew I had to figure out a way to incorporate these curly, green stalks into an upcoming family dinner. Garlic scapes are know as the under appreciated part of the garlic plant, or more specifically, the stalks that grow from the bulbs of garlic plants. Snipping them off before the flowerheads mature allows the garlic plant to direct more energy into the developing garlic bulb. 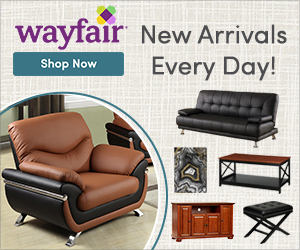 They are typically harvested mid-June to July, and can often be found at your local farmer’s market, sold in bunches. Alone, garlic scapes have a crisp texture. They taste somewhat sweet, like a scallion, but with a mild garlicky flavour, much softer than their eventual bulbous counterpart. 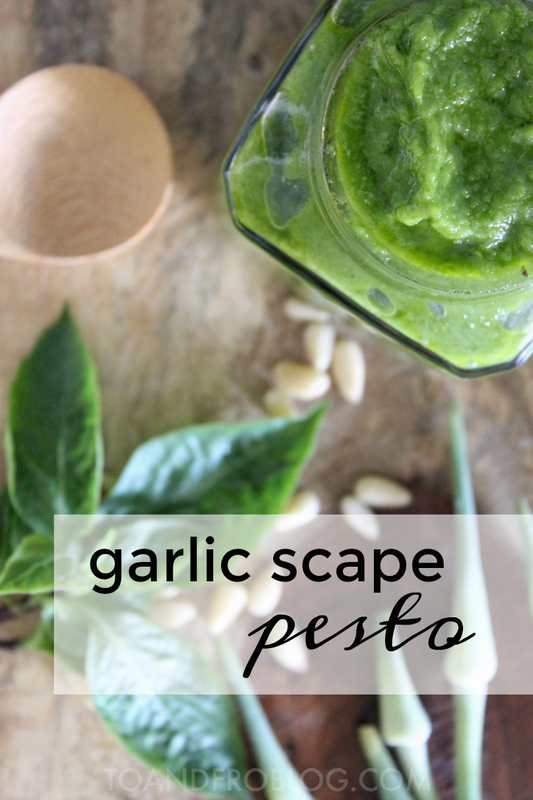 Combined with basil, they make the perfect garlic scape pesto. 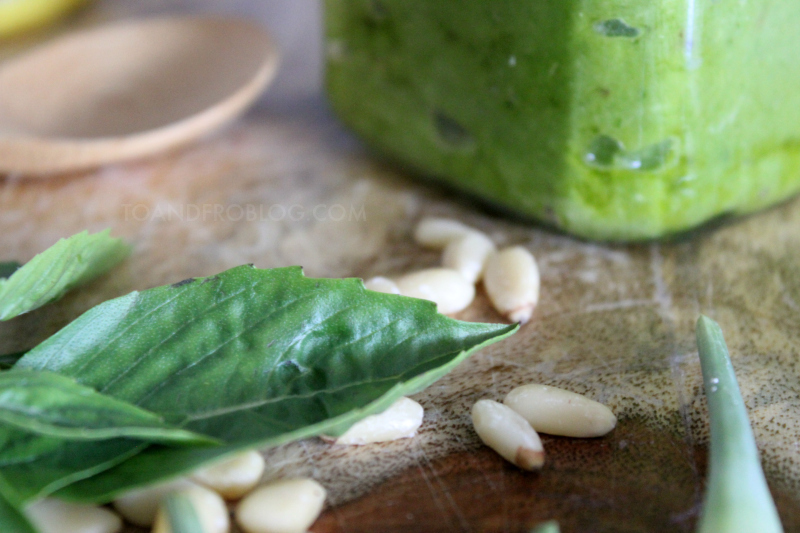 This pesto is delicious on bread, chicken, beef or fish, as pizza sauce, or my favourite, pasta! Place the garlic scapes, basil, pine nuts, salt and pepper in a food processor or blender and pulse until fairly well combined. Add the olive oil, and pulse until incorporated. Transfer pesto to a bowl and stir in the parmesan cheese. Store in an airtight container the fridge until ready to use, up to 1 week. Adding the basil helps tone down the garlicky taste of the scapes. Don’t worry if it’s still a little garlicky once you’ve made the above recipe, adding the cooked pasta will tone down the garlic flavour even more. Of course, if you’re a big garlic fan, you could forgo the basil all together. If you're not using the pesto right away, not to worry, it freezes very well. To freeze for later, put the pesto in an empty ice cube tray. Top the pesto off with a little bit of olive oil, to prevent it from browning. After it is frozen, remove from tray and place the cubes in a freezer bag. Before putting the cubes back in the freezer, label the bag with the date. Frozen pesto can last up to 6 months in the freezer. When buying basil, it usually comes in fairly large bunches. 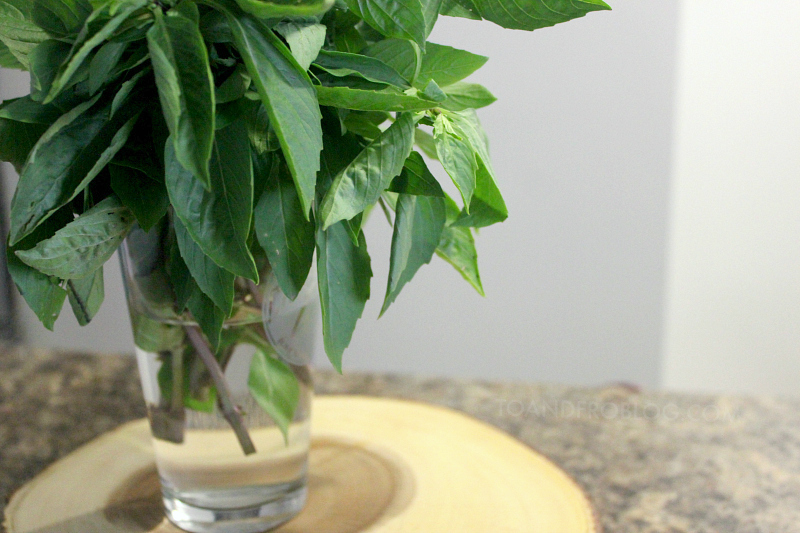 If you do not use all of the basil for this recipe, the easiest way to store it is to trim the stems and place in a glass or jar of water (pictured below), just like cut flowers. You can loosely cover it with a plastic bag and leave it on the counter, not in the fridge. It will store for up to a week with this method. 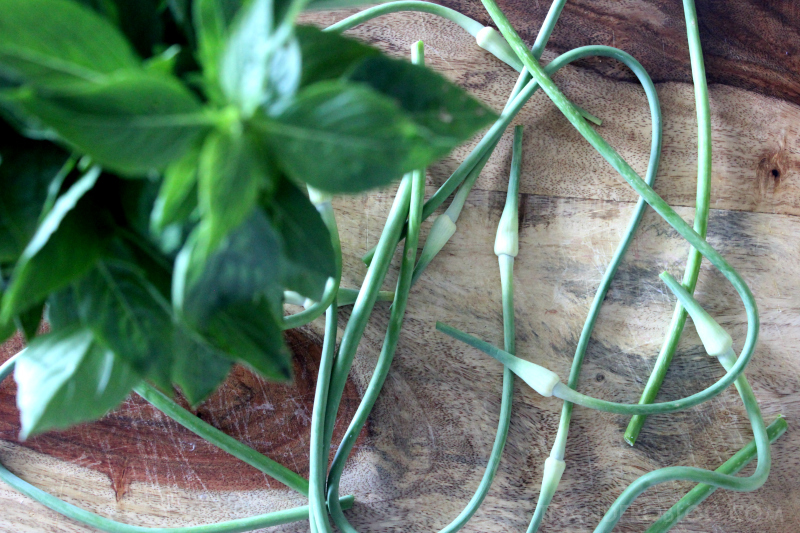 Have you had garlic scapes before? What new recipe ingredient have you tried lately?